1. 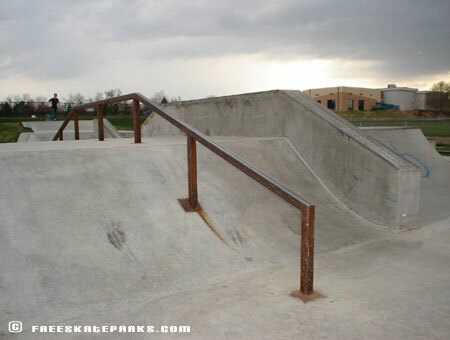 Lakewood Link Skatepark - 8-step handrail. 2. 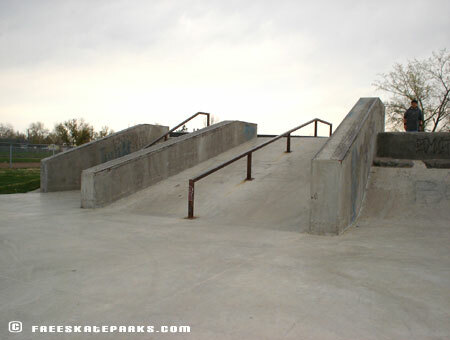 Lakewood Link Skatepark - Ledges, rails and quarter-pipes! 3. 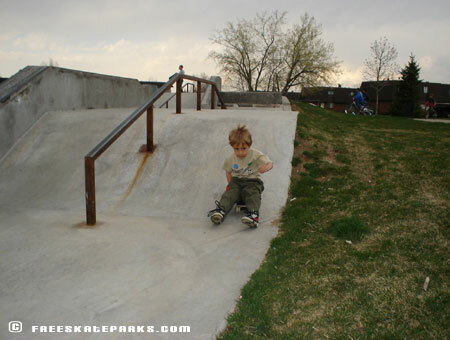 Lakewood Link Skatepark - More ledges and rails! 4. Lakewood Link Skatepark - Local kickflippin' over a set of four! 5. Lakewood Link Skatepark - More rails and ledges. 6. Lakewood Link Skatepark - Center pyramid with rails and ledges. 7. 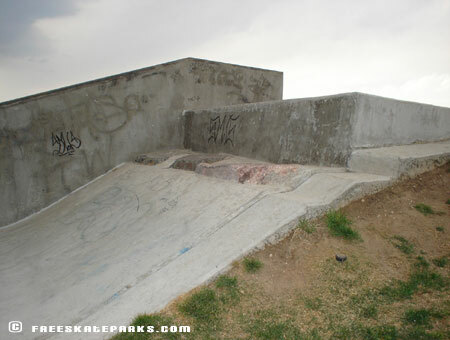 Lakewood Link Skatepark - The Rock Gap! Every skatepark should have one! 8. 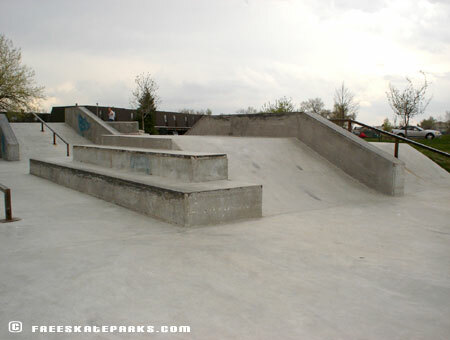 Lakewood Link Skatepark - View of the whole skatepark. 9. 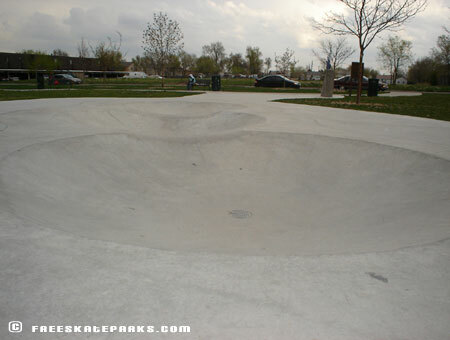 Lakewood Link Skatepark - A few saucers for the kids. 10. Lakewood Link Skatepark - Diego Elias Benavidez rippin' it up! 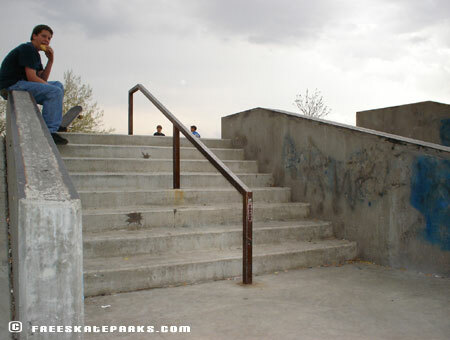 This beginner/intermediate skater facility includes several concrete 'street' elements (rails, ramps, stairs, walls) carefully integrated into the existing park. Small but great to have in the neighborhood. Skatepark is open from 7 a.m. until dusk. Safety equipment is strongly encouraged-helmets and knee and wrist guards. Alcohol, drugs, or tobacco pruducts prohibited. No glass containers, food or beverages are permitted in the skatepark. Graffiti or tagging of any kind will not be tolerated, and may result in closure and police investigation. Please use trash cans. Fines will be imposed for littering. No disorderly conduct. Respect fellow skaters and park users. Pets are prohibited in the skatepark. Premises are under police surveillance. 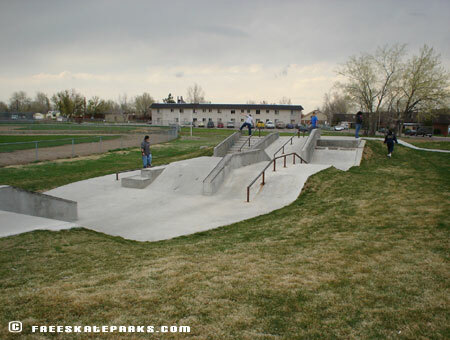 This skatepark belongs to the users and the citizens of Lakewood. Please respect the skatepark. 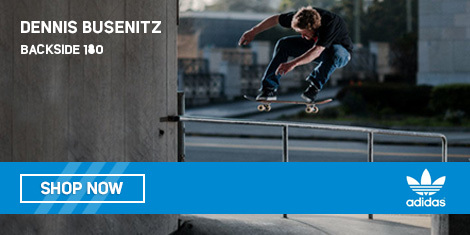 Failure to comply with the above listed rules and regulations may result in a temporary closure of the skatpark facility. The City of Lakewood is not responsible for accidents, injuries, or stolen equipment.